No matter how hard you work out or how smart you are about your diet, there may be an area that could use improvement. From boosting cardio performance and accelerating strength to recharging energy, these ingredients—and the supplements you can find them in—help you get the results you want. In the world of fitness, certain supplements are staples: Whey protein, creatine, branched-chain amino acids (BCAAs), and green tea extract. They all have proven benefits both clinically and anecdotally. And while these tried-and-true supplements should make up the foundation of your supplement regimen, there are a crop of new ones that may be worth considering, depending on your goals. What It Is: Betaine is known technically as trimethylglycine. It's a molecule of the amino acid glycine with three methyl groups attached to it. Why You Should Take It: Betaine is well known for its health-promoting properties, including support for heart, liver, and joint health. Recent research studies in athletes have suggested that it can significantly boost muscle strength and power. One study from the University of Connecticut reported that it increased muscle strength by 25 percent. How You Should Take It: Take 1,000-3,000 milligrams of betaine (as trimethylglycine), betaine anhydrous, or betaine monohydrate pre- and post-workout. What It Is: As the name describes, these amino acids are derived from silk protein. The protein is hydrolyzed to produce polypeptides (short protein chains) composed mainly of the amino acids alanine, glycine, serine, valine, and threonine. While each of these amino acids benefits the body individually, research suggests that they can also work together to deliver a plethora of benefits. Why You Should Take It: Animal studies have suggested that silk amino acids can more than double exercise endurance, while simultaneously increasing muscle mass and decreasing body fat. Although there currently aren't any clinical studies in humans, anecdotal reports suggest that the benefits would be similar. 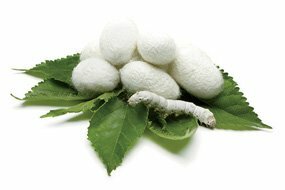 Other research shows that silk amino acids provide powerful antioxidant benefits. How You Should Take It: Take 4-5 grams with your normal pre-workout supplements about 30 minutes before exercise. What It Is: Also called palatinose, this simple sugar, found naturally in honey, is derived from sucrose but is digested at a much slower rate. Why You Should Take It: Research suggests that when taken before workouts, isomatulose may allow for more fat to be burned during exercise, which can help increase endurance and support fat loss. Having greater endurance but also greater fat burning means you can go harder for longer in the gym to further burn off more body fat. How You Should Take It: Take about 20 grams of isomaltulose within 30 minutes before workouts. What It Is: A protein powder that's created by a specialized manufacturing process that separates carbohydrates and the protein in brown rice, creating a more concentrated form of protein. Why You Should Take It: Not only is this a great protein source to help you build muscle and strength; it may also help you lose fat. This may be due to its ability to activate specific proteins known as PPARs (peroxisome proliferator-activated receptors) and LXRs (liver X receptors), which both activate genes that decrease fat production and enhance fat burning. 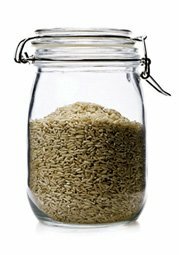 In addition, brown rice protein has about four times more arginine than whey, which helps boost nitric oxide and growth hormone levels. How You Should Take It: Take about 20 grams of brown rice protein powder before and after workouts and as snacks between meals. Or add about 10 grams to your typical protein shake. You can also look for a mixed protein that provides brown rice protein and other beneficial proteins, such as whey. What It Is: This is a dipeptide (two amino acids joined together) of glutamine known technically as L-alanyl-L-glutamine. Why You Should Take It: This form of glutamine provides all the typical benefits of glutamine—enhanced support for immune system function, better recovery, and increased metabolic rate—and then some. One recent study suggests that L-alanyl-L-glutamine was absorbed by the body over 200 percent better than standard L-glutamine. This means you get better results with less. Another study found that subjects who took sustamine were better hydrated than those getting a placebo and were able to perform an intense exercise test for 20 percent longer. How You Should Take It: Take 3-5 grams of L-alanyl-L-glutamine 30 minutes before workouts and within 30 minutes after workouts. What It Is: This metabolite of the branched-chain amino acid leucine is known scientifically as alpha-hydroxyisocaproic acid, or HICA. Why You Should Take It: This specialized amino acid may help prevent muscle breakdown, especially during intense training and dieting. One Finnish study suggests that competitive wrestlers who were training three times per day and taking HICA had less delayed onset muscle soreness (DOMS) and were able to gain two pounds of muscle despite the overtraining. In a follow-up study, the Finnish researchers reported that soccer players who took HICA for four weeks during an intensive training period also had less DOMS than the placebo group. HICA supplementers also gained a pound of muscle on their legs while the placebo group lost a pound. How You Should Take It: Take 500 milligrams of HICA with meals three times per day. On workout days take two of those doses with your pre-workout and post-workout shakes. What It Is: This is a healthy bacterium important for digestive health. Why You Should Take It: This bacterium helps to maintain or restore the normal balance of beneficial bacteria in the body. This improves digestive health, promotes healthy immune system function, and can even improve athletic performance and aid fat loss. One recent study suggests that taking one billion colony-forming units (CFUs) of this probiotic with protein significantly improved the amount of protein that subjects could absorb. Being able to absorb more protein can enhance muscle growth and strength gains. How You Should Take It: Take enough of this probiotic to provide one billion colony-forming units (CFU) with protein-rich meals. Or use protein powders that already include it.